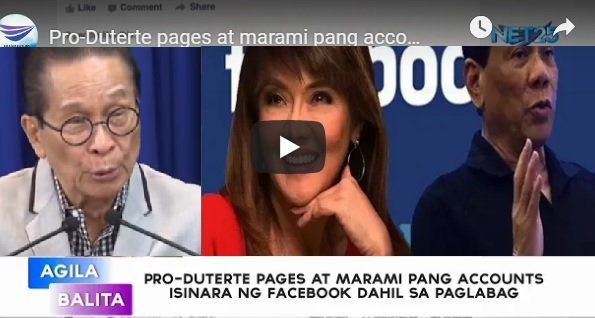 Violated Facebook’s policy on spam OR…for simply antagonizing the Aquino-Robredo-Liberal Party-Communist Party politicians and personalities being supported and defended by Facebook-Philippines management, Rappler, and the Yellow-controlled Philippine mainstream media? No matter what their reasons are, the fact remains that Facebook-Philippines management and company are blatantly violating freedom of speech and expression of their innocent victims. It behooves me that Facebook’s main American headquarters and management have even chosen and allowed these ignorant thugs and bullies to use Facebook as their avenue for illegal, leftist censorship and propaganda. This certainly puts a disastrous stain on Facebook the company’s impartiality and more importantly, integrity. Mr. Zuckerberg needs to be notified.